In the spring of 2014 Viktor & Rolf launched a women’s fragrance that was too sweet to resist. Bonbon Eau de parfum is utterly irresistible, if you love your sweet scents then you’re in for a treat. The pink bottle is shaped like a bow making it a stunning statement piece on my vanity, even the box it comes in looks luxurious. On my skin I first smell delicious milky caramels then fades into a sophisticated peach with a touch of cedar that lingers throughout the day. 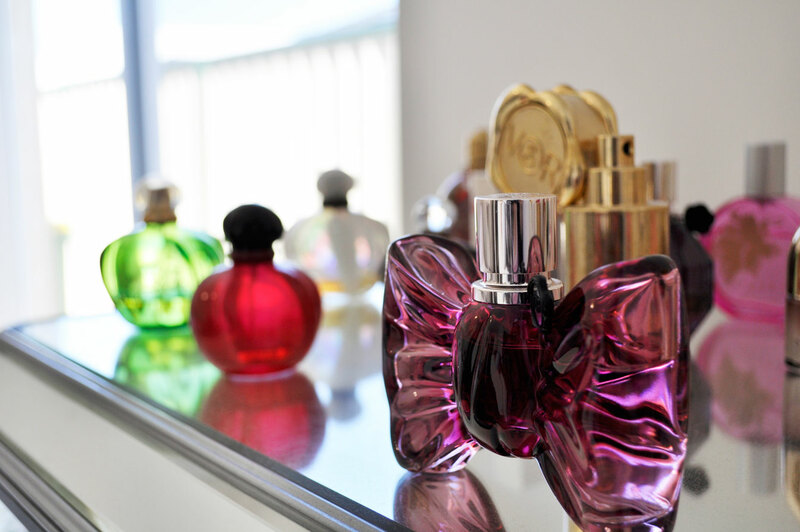 I am happy to call Bonbon my signature scent, it reminds me of youthful days, like a kid in a candy shop. I get a smile on my face each time I spritz it onto my skin. Viktor & Rolf Bonbon was developed by perfumers Serge Majoullier and Cecile Matton. This sounds amazing and I want to get it for the bottle alone. My husband purchased it from Myer which is a large department store here in Australia. It is perfection 🙂 Viktor & Rolf fragrances are amazing! So is it more musky or more fruity? I love musky sensual scents. Does it remind you of one of the Juicy Couture scents? I think you and your blog are terrific, so I’ve nominated you for the “One Lovely Blog” award. You can read about it on my blog, http://www.MakeupPlus50.com. Thank you so much for nominating me Ronda, you are amazing! Absolutely adore the design of the bottle, but I am more a flowerbomb girl myself.